Guardian angels belong to the kingdom of angels, and that kingdom is as superior to the human race, as humans are to animals, and animals are to plant life, and plants are to minerals. This is one of the great laws. Archangels (or superior angels) are the conscious force that channel the universes energies, into are these energies are sifted into 72 beams so that each of us (if we wish) can absorb them easily, as many as we want at a time. The guardian angels are the sensors of space who feed us with the energies and realities received from the archangels and delivered up to us. Esoteric tradition teaches us unequivocally that there are 9 choirs of angels, each led by are archangel, and made up of 8 guardian angels. Each of these guardian angels in turn occupies 5 degrees days of the zodiac and is responsible for all those born within those degrees, as their guide, tutor and protector. Each guardian angel transmits specific powers to us, depending on the degrees of the zodiac he is bound to, as well as the power that flow from his own archangel and choir. 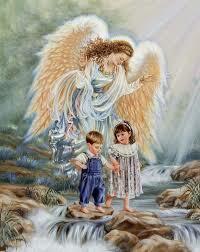 How can my guardian angel be my guardian angel if he is responsible for other people too? 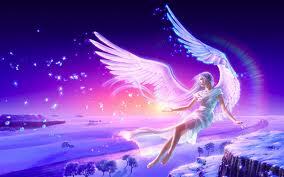 Are guardian angels male or female? Throughout the Universe everything has a positive and negative (or male and female) pole. This is one of the great laws, the laws of the universe. Guardian angel are no exception to this. Those guardian angels whose sacred names end with EL, from the masculine root of God, have cosmic masculine characteristics Those whose sacred names end with IAH, from the feminine root of God, have female cosmic characteristics. But remember, there is no masculine without feminine and integrality is all.